All professionals at Randolph Family Dentistry maintain the highest levels of accreditation and pursue ongoing education to stay abreast of the latest trends in the medical field. Read on to learn more about our staff's experience and training. Karen has been a dental professional for more than a decade. 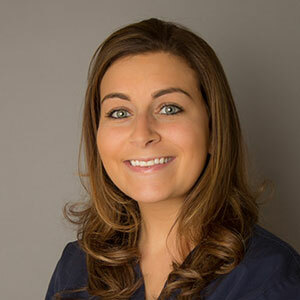 A graduate of Cape Cod Community Collge School of Dental Hygiene, Karen was a dental assistant before becoming a dental hygienist and therefore possesses a wealth of knowledge from a perspective from both sides of the chair. A mother, and a dedicated runner, whenever she finds the time, the first thing you notice about Karen is her kind and gentle demeanor. Brittany comes from Taunton and is a graduate of the hygiene program at Bristol Community College. Her enthusiasm and quick smile make her a valuable asset to our caring staff. 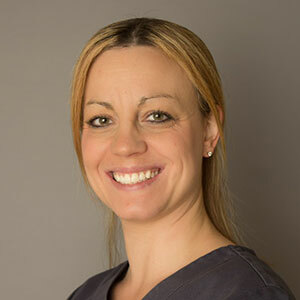 She loves her profession and is eager to share her professional knowledge with her patients. Brittany enjoys the summer season and all it has to offer. She is also a big country music fan and likes to read for relaxation. Ashlie, a graduate of, and former Massasoit Community College intern at our office took some time off from dentistry to add to her wonderful family. In early 2014, we were fortunate that when she decided to return to work, she chose our office to resume her dental career. When Kara assumed the front desk duties last January, Ashlie seamlessly became Dr. LoGuercio's invaluable chairside assistant. Her cheerful and warm demeanor can calm the most apprehensive patient. Her skill as a dental assistant and her dedication is greatly appreciated. Rita has worked at the front desk for many years. Her support of the practice and understanding of the office systems is invaluable. Because of her experience and extensive knowledge of front desk protocol, she can solve even the most difficult problems when they arise. Please do not hesitate to call her involving any office related concerns.